In Miami, the Perazzo Law Firm offers NO WIN, NO FEE representation for cruise ship accident clients. We know the many reasons why they happen. While cruise ship companies like Royal Caribbean and Carnival go all out to provide the most in entertainment at sea, sometimes they go overboard and passengers simply wind up getting hurt. Such as the case when a 35-year-old Royal Caribbean passenger was bouncing a trampoline. After several leaps and somersault, one of the straps on the support harness snapped and he went crashing onto the wooden deck. Sadly, the victim, who was of perfect health before boarding, shall never fully recover from the negligence of the Royal Caribbean Cruise Company. 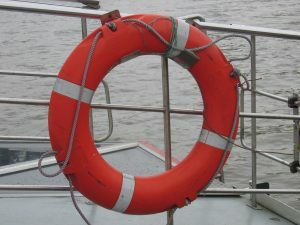 Perazzo Law knows of the many types of injuries that cruise ship passengers can suffer while spending days and nights at sea. 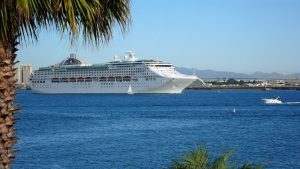 Personal Injuries aboard cruise ships can range from food poisoning to slip and falls which end in wrongful death. Slippery pools decks & alcohol usually go hand-in-hand aboard a cruise, with pool sides injuries accounting for head, neck, and back injuries; which may have long term effects if not treated properly or immediately. The Perazzo Law Firm is fully-dedicated to providing the most professional and complete legal representation to Cruise Ship accident victims in Miami. Contact Perazzo Law ONLINE Now for a FREE initial consultation! Perazzo Law offers NO WIN, NO FEE representation to its personal injury accident clients. THE PERAZZO LAW FIRM – DEDICATED TO PUTTING YOUR INTERESTS FIRST, ALWAYS.